I am very involved on the local, state, and national levels as an advocate for quality public school education programs. At the local level I work to stay informed on current issues and trends and am also actively involved with a local education coalition that supports positive school board candidates. At the state level, I participate in Lobby Days at our state capitol. I am the program coordinator for the FCCLA (Family, Career, and Community Leaders of America) Legislative Shadowing Day. I read the applications, select the participants (high school juniors and seniors), assign them a state representative/senator or elected official to shadow, and make the arrangements at our capitol. At the national level, I have participated in the ACTE (Association for Career and Technical Education) National Policy Seminar in Washington, DC and have spent time at the Capitol lobbying for strong, effective public educational programs. I have worked within the Family and Consumer Sciences field to support bills that positively affect families and children. I frequently write to legislators with data to support key programs and to encourage the continued funding of those programs. Marcia Ritter is a family and consumer sciences educator from Lee’s Summit, Missouri. Marcia taught middle school and high school FCS students for 30 years and university FCS Education undergraduate and graduate students for 7 years. 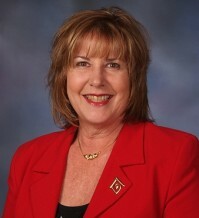 She is the 2010 FCSEA National Family and Consumer Sciences Educator of the Year. She is currently semi-retired and is guest teaching in the Lee’s Summit school district. She is the past chairman of the National Coalition for FCS Education, a mentor to new FCS professionals in Missouri, the author of a grant-writing online class through Teach Sharp, a writer for the AAFCS Technical Skills Assessment for the Teaching and Training Career Book Company.